Professor Imran Awan is one of the country’s leading criminologists and experts on Islamophobia and countering extremism. Imran joined Birmingham City University in January 2013 from the University of South Wales where he worked as a Senior Lecturer. During his time at BCU, he has lead the Centre for Applied Criminology in the design, development and implementation of its research strategy within Criminology and has played a critical role through his evidenced-based research in influencing policy. He was appointed as Deputy Director in 2013 and was conferred the title of Reader/Associate Professor in February 2016. 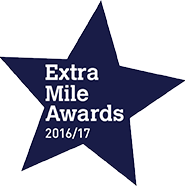 In 2016/17, Imran won the BCU Researcher of the Year Extra Mile Awards. Imran has been appointed, as an independent member of the Government's Cross Working Group on Anti-Muslim hatred, based in the Department for Communities and Local Government. Imran's role is to act as an advisor to Government on anti-Muslim hatred related issues. The Government's Cross Working Group was set up by the Deputy Prime Minister. Imran is passionate about criminological research and uses his extensive research knowledge to inform practitioners and policy-makers on effective measures in tackling some of the most important issues our society faces today. His interdisciplinary research has led to multiple publications in several other areas of the social sciences, including in leading academic journals, in sociology, ethnic studies, policing and ethnography. 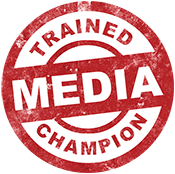 Imran has published over 50 academic papers, articles and books in leading journals and publications across the world. His paper published in the leading journal for the analysis of race and ethnicity, Ethnic and Racial Studies is among the top 5% of research outputs ever tracked by Altmetric and continues to be internationally cited. As one of the most-followed criminologists in the UK, his extensive media engagement in bringing ground-breaking research to the attention of the wider public has been recognised, when he was he was a finalist for the National Hate Crime Awards in 2017 under the category, ‘Upstanding Research and Innovation’ award, and the British Muslims Awards in 2016, which recognises his work and contribution towards the field of Criminology and Islamophobia. Imran has a wealth of teaching experience, and is presently teaching across a range of undergraduate and postgraduate programmes within Criminology. Imran is currently supervising 3 PhD students who are researching issues around violent crime, migration and social media. Imran is currently writing three books on Islamophobia, hate crime and countering extremism. His book’s will bring together key areas of criminological research in helping bring better understanding of hate crimes in the context of Criminological research. Imran was appointed a member of the International Network for Hate Studies and is also a member of the Advisory Committee for the Measuring Anti-Muslim Attacks Project organised by Tell MAMA, a non-profit organisation which hopes to show the scale of the problem of Islamophobia and provide support for victims. As well as appearing regularly in the media through his extensive TV and radio work, Imran has submitted both written and oral evidence to the Home Affairs Select Committee, the All Party Parliamentary Group on Islamophobia, and sits as an independent expert advisor to the Cross-Government Working Group on Anti-Muslim Hatred based in the Department for Communities and Local Government. Imran is currently writing three books on Islamophobia, hate crime and countering extremism. His book’s will bring together key areas of criminological research in helping bring better understanding of hate crimes in the context of Criminological research. Imran was appointed a member of the International Network for Hate Studies and is also a member of the Advisory Committee for the Measuring Anti-Muslim Attacks Project organised by Tell MAMA, a non-profit organisation which hopes to show the scale of the problem of Islamophobia and provide support for victims. As well as appearing regularly in the media, Imran has submitted both written and oral evidence to the Home Affairs Select Committee, All Party Parliamentary Group on Islamophobia, and sits as an independent expert advisor to the Cross-Government Working Group on Anti-Muslim Hatred based in the Department for Communities and Local Government. Awan, I and Zempi, I. (2018) Islamophobic Hate Crimes Routledge. [In Progress]. Awan, I and Zempi, I (2018) Routledge Key Readings in Islamophobia,Routledge Handbooks. [In Progress]. Awan, I., Spiller, K., and Whiting, A. (2018) Countering Violent Extremism in Education, Palgrave [In Progress]. Awan, I and Zempi, I. (2016) Islamophobia: Lived Experiences of Online and Offline Victimisation. Bristol: Policy Press. Awan, I and Blakemore, B (Eds.) (2013) Extremism, Counter-Terrorism and Policing. Ashgate Publishing: London. Awan. I, and Blakemore. B (Eds.) (2012) Policing Cyber hate, Cyber threats and Cyber terrorism. Ashgate Publishing: London. Awan, I and Zempi, I (2018) ‘You all look the same’: Non-Muslim men who suffer Islamophobic hate crime in the post-Brexit era, European Journal of Criminology, 1–18. Awan, I., and Islam, I. (2018) ‘Certainly the Muslim is the very devil incarnation’: Islamophobia and The Merchant of Venice, The Muslim World, 108 (3): 367-386. Awan, I. (2018) “I never did anything wrong! Trojan Horse – A Qualitative Study Uncovering the Impact in Birmingham, British Journal of Sociology of Education [paper accepted and in press]. Awan, I., Brookes, M., Powell, M., and Stanwell, S. (2018) Understanding the Public Perception of a UK Police Constabulary, Police, Practice and Research: An International journal [online]. Awan, I. (2017) Religion, Identity and Radicalisation: The Experiences of Young British Muslims of the Crises in Syria, Journal of Muslims in Europe, Vol. 6 (1): 1-21. Awan, I. (2016) Islamophobia on Social Media, A Qualitative Analysis of the Facebook’s Walls of Hate, International Journal of Cyber Criminology, Vol.10 (1): 1-20. Awan, I. and Rahman, M. (2016) ‘A Content Analysis of British Muslims in UK Newspapers’, Journal of Muslim Minority Affairs, (Advance Early Access http://www.tandfonline.com/doi/full/10.1080/13602004.2016.1147151). Awan, I. and Correia, S. (2015) ‘Engaging Muslim Communities with Counter-terrorism Research’, Fieldwork in Religion, Vol. 10 (1) (Open Access https://journals.equinoxpub.com/index.php/FIR/article/view/22203). Abbas, T and Awan, I (2015) Limits of UK Counter-Terrorism Laws, International Journal for Crime, Justice and Social Democracy, Vol. 4(3), 1-14. Awan, I. (2014) ‘Islamophobia on Twitter: A Typology of Online Hate Against Muslims on Social Media’, Policy & Internet, Vol.6 (2): 133-150. Awan, I., Blakemore, B. and Simpson, K. (2013) ‘Muslim Communities Attitudes towards and recruitment into the British Police Service’, International Journal of Law, Crime and Justice, Vol.41 (4): 421-437. Awan, I. (2012) ‘The Impact of Policing British Muslims: A Qualitative Exploration’ Journal of Policing, Intelligence and Counter-terrorism, Vol. 7 (1): 22-35. Awan, I (2012) ‘Encouraging and Glorifying Terrorism: Preserving the Golden Thread of Civil Liberties in Britain’, Journal of Aggression, Conflict and Peace Research, Vol. 4 (3): 144-155. Awan, I. (2011) ‘The Erosion of Civil Liberties: Pre-charge Detention and Counter-Terror laws’, The Police Journal, Vol. 84 (3): 272-284. Awan, I. (2012) ‘Muslim Communities, Conflict and Terrorism: A Study of Alum Rock’, Safer Communities, Vol. 11 (4): 195-204. Awan, I. (2017) ‘Online Islamophobia, Hate and Extremism’, In Muslim Identity in a Turbulent Age, Jessica Kingsley Publishers. Awan, I. (2012) Chapter 2: ‘Cyber threats and Cyber terrorism: The Internet as a tool for Extremism’ In ‘Policing Cyber hate, Cyber threats, Cyber terrorism’ Edited by Imran Awan and Brian Blakemore (Ashgate Publishing: London). Awan, I. (2012) Chapter 6: ‘The Global Phenomenon of Cyber terrorism and Extremism’ In ‘Policing Cyber hate, Cyber threats, cyber terrorism’ Edited by Imran Awan and Brian Blakemore (Ashgate Publishing: London). Awan, I. and Blakemore, B. (2012) Chapter 10: ‘Policing Cyber hate, Cyber threats and Cyber terrorism’ In ‘Policing Cyber hate, Cyber threats, Cyber terrorism’ Edited by Imran Awan and Brian Blakemore (Ashgate Publishing: London). Awan, I. (2013) Chapter 1: ‘What is Extremism?’ In ‘Extremism, Counter-Terrorism and Policing’ Edited by Imran Awan and Brian Blakemore (Ashgate Publishing: London). Awan, I. (2013) Chapter 2: ‘Policing within a Counter-Terrorism Context’ In ‘Extremism, Counter-Terrorism and Policing’ Edited by Imran Awan and Brian Blakemore (Ashgate Publishing: London). Awan, I. (2013) Chapter 5: ‘International Strategies at Preventing Extremism’ In ‘Extremism, Counter-Terrorism and Policing’ Edited by Imran Awan and Brian Blakemore (Ashgate Publishing: London). Awan, I. and Blakemore, B. (2013) Chapter 10: ‘Extremism, Counter-Terrorism and Policing’ In ‘Extremism, Counter-Terrorism and Policing’ Edited by Imran Awan and Brian Blakemore (Ashgate Publishing: London). Awan, I. (2013) British Muslims, Trust and the Police Service' Political Insight, Vol 4, Issue 2, 34-37. Awan, I. (2013) ‘Radicalisation of Muslim Prisoners’, Criminal Law and Justice Weekly, Vol.177, 16 (March) at p170-171. Awan, I., Blakemore, F., and Simpson, K. (2013) ‘Why Ethnic minority communities fail to see the police as a career’, Policing Today. Awan, I. (2012) ‘Prevent Agenda and the Doctrine of Fear in the Muslim Community’ Arches Quarterly: Terrorism and Counter-terrorism Spotlight on Strategies, 5 (9) pp. 63-67. Awan, I. (2012) ‘Misconceptions about Islam: How Counter-terrorism policy is shaped’ Criminal Law and Justice Weekly. (176), 18 (April 28) at p253. Awan, I. (2012) ‘Pakistan’s Police Force face to face with the Threat from Terrorism’ Emergency Global. Homeland and Maritime Security Issue. (January 2012), p.48. Awan, I. (2011) ‘Terror in the Eye of the Beholder: The ‘Spy cam’ Saga in Birmingham: Counter-Terrorism or Counter-productive?’ The Howard Journal of Criminal Justice, Vol. 50 (2): 199-202. Awan, I. (2011) ‘Paving the way for Extremism: How Prevention is not a cure for the Disease of Terrorism’ Journal of Terrorism Research, Special Law Issue, Published by the St. Andrews Centre for Terrorism and Political Violence, Vol. 2(3): 4-9. Awan, I. (2011) ‘When protecting the community involves spying on it’, Public Service Review, 5 (December). Awan, I. (2011) ‘Bullets, Knives and the War on Gangs’ Criminal Law and Justice Weekly, (175) (41), (October 8), 591-592. Awan, I. (2011) ‘Strategic Responses to Al-Qaeda inspired Terrorism’ Police Professional. Issue 283, (December 8), 18-19. Awan, I. (2011) ‘Police powers of Stop and Search under reform in the ‘new’ battle for hearts and minds’ Emergency Global, Homeland and Maritime Security Issue. Awan, I. (2011) ‘A lesson in how not to spy upon your community’ Criminal Justice Matters, Special Issue, Myths and Criminal Justice, Vol. 83. (1). Routledge: 10-11. Awan, I. (2011) ‘Slaying the Monster: Counter-terrorism Measures under Reform’ Criminal Law and Justice Weekly, (175), Issue 11, 151-152. Awan, I. (2011) ‘Rebels with a Cause: Terror in the name of Prevent’ Police Professional. At pp. 22-23. Awan, I. (2010) ‘A Web of Deceit’ Public Service Review, Home Affairs 22. At p76. Awan, I. (2008) ‘The Dangers of Silencing Dissent’ New Law Journal, Volume 158, Issue 7319, Butterwoth, London. Awan, I. Keynote Speaker. Terrorism and the Modern Shakespeare, Royal Shakespeare Company, 20 July 2017. Awan, I. Keynote Speaker. Understanding Islamophobic Victimisation, Cardiff University, Centre for Islam in the UK, February 7th 2018. Awan, I. Keynote Speaker. Hate Crimes in Britain. EU Council, London, September 14th 2017. Awan, I. Keynote Speaker. Extremism and Hate Crimes in Europe, Germany, November 11, 2017. Awan, I. Keynote Speaker. Learning Lessons from Srebrenica, Bosnia, September 10, 2016. Awan, I. Keynote Speaker. Islamophobia in Britain: Understanding Policy, Turkey 2017. Awan, I. Spiller, K., and Whiting, A. ‘Tackling Extremism in UK Universities’, Religion and Society Conference, October 2016. Awan, I. Keynote Speaker, The Future City Talks (Multi-Faith Birmingham), Birmingham City University, December 2015. Awan, I. Guest Speaker, The Nature of Islamophobia, Asian Fire Service Association, July 2015. Awan, I. Guest Speaker, ‘Prevent Strategy and Universities’, DASSH Conference, November 2015. Awan, I. Keynote Speaker, ‘Tackling Extremism and the Syria Crises’, ESRC Seminar Series, November 2015. Awan, I. Guest Speaker, ‘Tackling Anti-Muslim Hatred in the UK’, Workshop for the Head of UK Twitter), September 2015. Awan, I. Keynote Speaker, ‘Tackling Online Extremism’, Muslim Peace Conference, Abu Dhabi, 1-7 May 2015. Awan, I. Keynote Speaker, ‘Are Muslims a Suspect Community?’, Thought crime series, London, 20 May 2015. Awan, I. Keynote Speaker, ‘How do Prevent Extremism in the UK?’, Asian Fire Service Association, Newcastle, 22 May 2015. Awan, I. Keynote Speaker, ‘Tackling Terrorism on Social Media’, Public Policy Exchange, 15 May 2015. Awan, I. Guest Speaker, ‘Tackling Anti-Muslim Hatred’, Workshop for Faith Matters, August 2015. Awan, I. Guest Speaker, ‘What do we call Extremism?’, Dialogue Society, 29 January 2014, Birmingham. Awan, I. Guest Speaker, ‘Online Radicalization’, Centre of Excellent Defence Against Terrorism (NATO), Turkey, 04-05 November 2013. Awan, I. Guest Speaker, ‘Muslims are a Suspect Community’, ESRC Social Sciences Festival, Selly Oak Methodist Church, Birmingham, Thursday 7 November 2013. I was invited to present oral and written evidence before the influential Home Affairs Select Committee regarding the impact of online hate speech. The report’s recommendations are being used in the new Hate Crime and Its Violent Consequences Report. All Party Parliamentary Group on British Muslims, House of Commons, October 2017. I was invited to present both written and oral evidence to the APPG on British Muslims during hate crime awareness week at the House of Commons regarding my new research report about victims of Islamophobic attacks. Runnymede Trust Report (20th Year Anniversary) on Islamophobia, November 2017. Co-authored a chapter on Islamophobic Hate Crimes for the new influential Runnymede Trust report into Islamophobia. The report was presented at the House of Lords. Written Submission for the Mayor of London Office on the Prevent Strategy, May/June 2015. This written submission was made after I was invited by the London Assembly Police and Crime Committee whose role it is to examine the work of the Mayor’s Office for Policing and Crime (MOPAC), which supervises the Metropolitan Police Service. My submission made a number of recommendations before the Committee on how best to implement the Prevent Strategy in London. All Party Parliamentary Group on Islamophobia, House of Commons, September 2013, December 2014 and June 2015. I was invited to present both written and oral evidence to the APPG on Islamophobia at the House of Commons on three occasions. This also involved a discussion where we examined issues around my new report Online and Offline Experiences of Anti-Muslim Hostility. The second invitation in December 2014, included me presenting evidence before Baroness Sayeeda Warsi and the Minister for Faith and Communities, Lord Ahmed (at the time). The third presentation was providing evidence to Ministers about my forthcoming book about anti-Muslim hatred online.